Teresa Ribera is the Spanish Minister for the Ecological Transition. Prior to that, Ms Ribera was Director of the Institute for Sustainable Development and International Relations (IDDRI) from 2014 to 2018, and enabled the Institute to play a key role in the negotiation of the Paris Climate Agreement and the transition towards sustainable development. 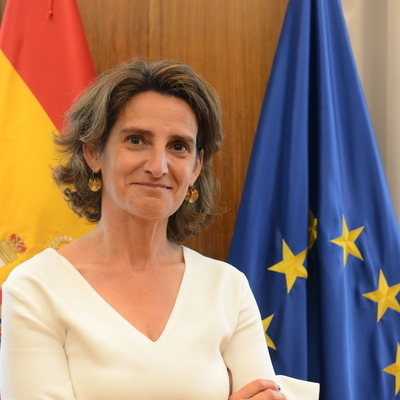 She served as the Spanish Secretary of State for Climate Change and Biodiversity from 2008 to 2011, responsible for environmental and climate policies, as well as the National Meteorological Agency. A public official from the Senior Corps of State Civil Administrators, she has also taught at the Autonomous University of Madrid.